Just a lot going on with trying to get my office organized, a lot of photo meetings & appointments, trying to fight this stupid sinus infection & dental issues... just a lot on my plate right now. Currently I'm Loving: Flip Flops! It's going to be in the 70's today! Let's not look ahead & see its only going to be in the 40's the next few days through the weekend, but TODAY, currently, its going to be in the 70's. I have broke out the flip flops for the year. I love when I don't have to worry about shoes. My stupid sinuses. They are BURNING like the dickens now. That can only mean that they are ready to fall out of my head - right? I have been playing around with different ways to hold my needles & wrap my yarn. While that may not mean much to some of you, it means tons to me since I haven't been able to knit with real needles with my shoulder / bicep tendonitis. I have a skein of yarn that I have been LOVING but couldn't find the perfect project for it on the loom, but last night, I broke out needles & casted on & got an inch of the ribbing done. I'm so excited about it. I've loved going through it - especially with my journal Bible. It feels funny to go into another book of the Bible but that's what I'll be doing tonight. So yeah... I had to go to the dentist for a tooth problem. The dentist thought it may be because where I grind my teeth, my back tooth, that is root canaled & crowned, may have shifted & it was hitting wrong. She drilled it down a bit & it eased up... .but the pressure is back. BUT, all my teeth on that side of my face hurts thanks to my sinuses. So I'm hoping that my sinuses clear up & my dental problems ease up. If not, I have to go to an oral surgeon & get that tooth cut out since it's already root canaled. It would be too fragile to pull like a normal tooth. ... I'm getting woozy thinking of all of this... so I'm REALLY hoping everything eases up ... & soon. I have a dental appointment to get cleaned & checked on next Wednesday. 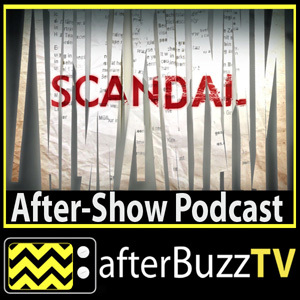 I found yesterday in the world of Podcasts a thing called "Afterbuzz TV" which has people talking about a show that just aired. Ones like Revenge, Scandal, Once Upon a Time... this is right up my ally. I've actually gone back & listened to all of the podcasts about Once Upon a Time... & today, I'm going to listen to the ones about Scandal. I can talk TV all day long. Those little chocolate goodies just get me every year. I enjoy doing photography. I enjoy meeting people & capturing moments for them. But I'm really considering what to do with it for the future. Life holds so much stress already & I'm considering if this is a stress I want to continue or if I just want to let it go a little bit. Between the time it takes to invest in editing, traveling, the work in it, much less the stress of trying to please a client, I'm just in a mood where I'm weighing options. So what are you currently doing? Really praying your tooth eases up! And Afterbuzz TV sounds like something I would love too! I love reading articles about different opinions on tv shows! when does once upon a time come back?! sorry to hear about your dental pain, hope it eases up! i can't imagine how busy and stressed out photography is and adds to your already busy and stressful life. i totally understand why'd you be reconsidering it! Sorry to hear about your dental pain. I love once upon a time. I participated in your currently. Not good to feel overwhelmed--I don't like that feeling. I think once your sinuses clear and your dental problems go away, you'll be in a better position to think through what to do about the photography. Hebrews is a very interesting book. Right now I'm going through Genesis and it's time to schedule another mammogram, yippee! Just got my cat's dental cleaning done and he had to have two teeth removed too! my teeth hurt when i have sinus infections. no fun! hope it all eases off soon!! Mmm now I want some Cadbury eggs! !